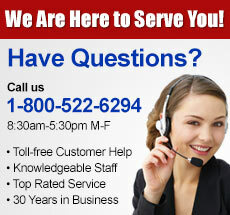 Magic Lamp Products has created the most comprehensive A.S.L. 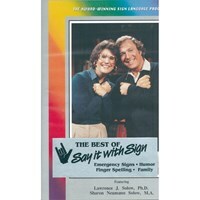 video series called Say It With Sign, available right here at MaxiAids. 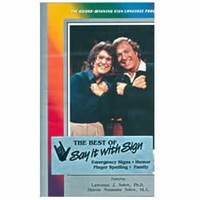 We carry this educational American Sign Language series from Volume 1 to Volume 9 on VHS. This 20-hour Home Video Library teaches conversational sign language in a fun, easy and enchanting manner. Youll learn why this romantic language has such sensitive beauty. The most comprehensive video series on A.S.L.